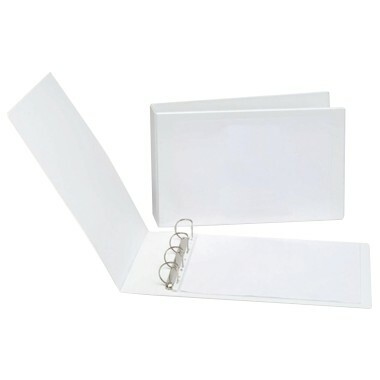 PVC Presentation Ring Binders are one of our most popular products. Create low cost, professional files quickly and easily by inserting your pre-printed material into the clear pockets on the face and spine of these presentation folders. A3 Presentation Binders are available from stock, Landscape format in white PVC. 5 different size configurations. Supplied singly.